Many startups seem to believe that trumpeting their potential to “disrupt” is sine qua non for stoking buzz and grabbing the attention of investors. “That’s absolutely the opposite of what we’re trying to do,” said CEO Andrew Flachner. As listing portals arguably continue to drive a wedge between consumers and brokers, RealScout aims to digitally fuse the two together to create a collaborative online search experience that far outshines what is typically offered on individual agent websites. The company serves up a search experience that feels like the sort that a consumer finds on sites like Zillow and Trulia. But unlike those portals, it offers a custodial role for agents to play in a buyer’s home search and the unique ability to hunt for listings based on features and amenities. That may not be “disruptive,” but it’s still an idea that investors are ready to throw their weight behind: RealScout just closed a $1.1 million seed funding round, drawing investments from venture capital funds DCM and Formation 8 and angel investor Ken DeLeon. RealScout is also a member of the inaugural class of Inman News’ Inman Incubator, a real estate startup accelerator. RealScout is currently piloting its product, charging participating agents $74 per month, in the San Francisco Bay Area and has plans to expand to other markets soon. Honda and others are betting that the service will enable agents to more effectively shepherd consumers through the online search process by replacing traditional Internet Data Exchange (IDX) plug-ins on agent sites. To accomplish this, RealScout offers a widget that embeds on agent sites, but could eventually wiggle its way onto broker sites. The crucial difference between the RealScout widget and most, if not all, IDX plug-ins, is that the widget pushes consumers off an agent’s site to search for homes instead of keeping them on the agent’s site. Consumers who search using the widget land on RealScout’s listing site, not on a listing results page encased within an agent’s site. The widget uses either a search call to action that lives on an agent’s site and links to RealScout or a search bar that surfaces listing results on RealScout after a user enters criteria into the bar and clicks search. Prompting that migration does not digitally sever the consumer from an agent. RealScout maintains the connection between agent and consumer initially established on the agent’s site by prominently displaying the contact information of the agent whose site sent the consumer to RealScout. And on RealScout property detail pages, it invites that consumer to ask for information or request showings from the agent. At the same time, sending a consumer to search for listings on RealScout rather than on the agent site that the consumer originally visits provides the consumer with an experience that bears the trappings of a top-notch search portal, instead of something that “feels like you’re filling out taxes,” Flachner said. “We’ve emulated the look and feel of a national portal and made it easier for homebuyers to search on a platform to collaborate with their agents,” he said. Nevertheless, the user experience on RealScout.com now differs from national portals in one critical way: It requires a consumer to choose a real estate agent before allowing the consumer to see IDX listings. Until today, the startup allowed consumers to search for listings as on any other listing portal. 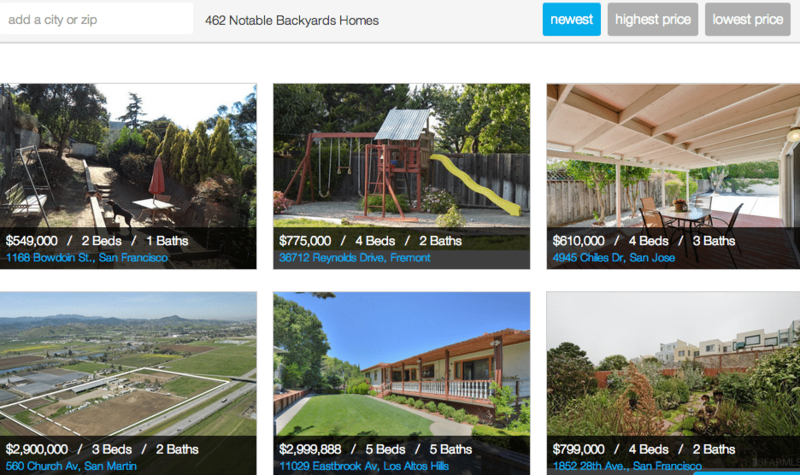 RealScout is a licensed broker in California and has both broker and vendor IDX licensing agreements with four Bay Area multiple listing services, Flachner said. The vendor agreements allow RealScout to display IDX listings to users who come to the site through a component of the software that it sells real estate agents: its search widget. Through the broker agreements, RealScout.com displayed IDX listings to users who came to the site organically. That second data-harvesting approach could have eventually nettled some multiple listing services and industry observers. As fellow Incubator enrollee HomeLight has learned the hard way, sites like RealScout who secure broker agreements solely for the purpose of publicly displaying MLS data — rather than representing buyers or sellers in home sales — can draw the ire of MLS officials, and either limit a company’s scope in a market or lock them out entirely. Some officials argue that sites like RealScout do not meet the definition of a qualified MLS participant, which stipulates that a participant must “actively endeavor” to list property on the MLS or accept offers of cooperation or compensation made by listing agents. “Our goal is not to compete with our customers. That’s why we don’t sell real estate,” Flachner said. 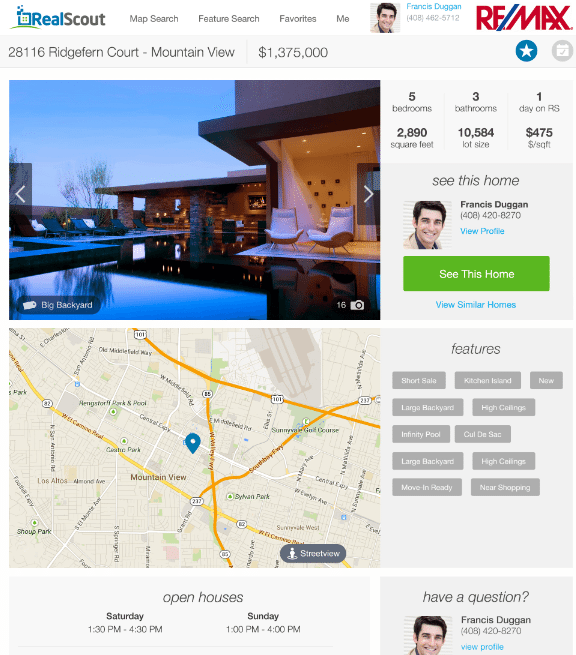 “We want to align ourselves with the industry, and this way we’ll only be displaying listings when visitors are partnered with an agent who is using our software,” he added. The company’s focus has been to develop software to help real estate agents, not to develop organic traffic to RealScout.com, which is currently “negligible,” Flachner said. The site does not offer advertising products and does not pay for search engine marketing. “Although it’s nice to have a front-end search, it’s much more important for clients to find their agent and begin searching with their agent from the get-go,” he said. Flachner is not sure what RealScout will do with consumers who find the site organically and are not yet affiliated with an agent. “There may be a recommendation engine. We haven’t had a chance to think that through,” he said. RealScout provides other distinguishing benefits to both consumers and agents. The site includes the ability to search by a wide array of home features and amenities — a feature that doesn’t appear to be offered on any other listing site. The company assigns tags like “remodeled kitchens” and “large backyards” to properties by crunching 500 data points associated with listings on MLSs. Thanks to that sorting, consumers may filter their searches based on the features captured by those tags. RealScout’s “Feature Search” tool shows listing results with images of the searched-for feature. The search-by-feature functionality feeds nicely into RealScout’s suite of marketing tools, which agents may use to manage site users once those users create accounts on RealScout. The company’s email marketing tool processes the features that consumers search for to identify new listings that have those features, and then introduces those listings to consumers in “natural language,” Flachner said. “Some new listings just came onto the market. Chevy St. has a lot of natural light, is near Caltrain, and has energy efficient appliances. Alameda also has a lot of natural light, has a formal dining room and an open floor plan,” reads a sample RealScout marketing email that introduces two properties. “It doesn’t say, ‘Here are your 10 daily matches,” Flachner said. RealScout also offers customer relationship management tools that enable agents to manage leads and monitor leads’ activity on the site. Fifty-six percent of the agents in offices where RealScout has presented its product have adopted it, according to Flachner. Additional reporting contributed by Inman News Associate Editor Andrea V. Brambila. What do you think of RealScout? Would you sign up for this service? Why or why not? Let us know in the comments below.